Rangers and Celtic TV channels go off the air as Setanta Sports enters administration. The Old Firm today became the first SPL casualties of the collapse of sports broadcaster Setanta when their dedicated club TV channels went off the air. Following the news that the Irish-based broadcaster had called in the administrators, both Rangers TV and Celtic TV went off the air at 5pm. The channels, which broadcast every Scottish Premier League game involving the two clubs as well as behind-the-scenes documentaries and footage, were available to subscribers to Setanta’s sports packages on a number of platforms. 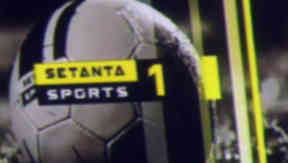 The service was provided free alongside Setanta’s sports channels. Setanta operated the channels as a joint venture with the two clubs, as well as providing services for the English Premier League clubs Liverpool and Arsenal. Liverpool are considering taking their club television service exclusively online according to reports in the media trade press. Neither Rangers or Celtic were prepared to comment on any plans to replace the service. Neither will welcome the loss of a communication channel to their support. Fans, for their part, are likely to press for some sort of replacement service.